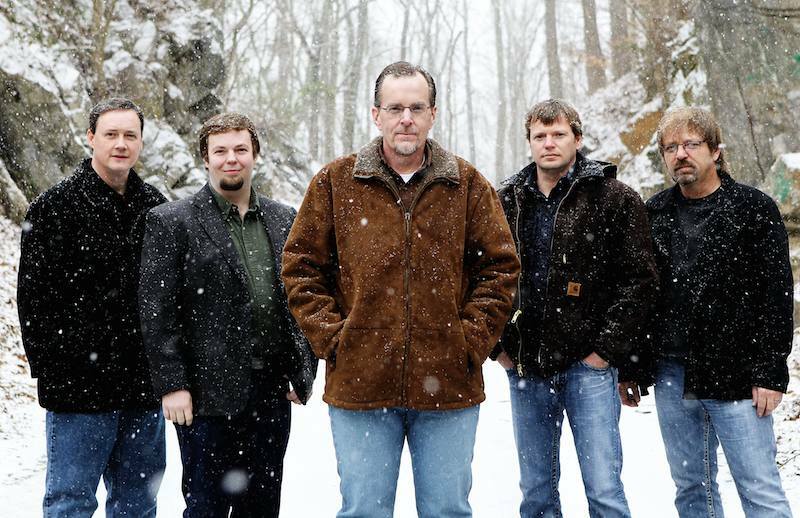 Nominees for the 2014 International Bluegrass Music Awards were announced this week at a press conference in Nashville, Tennessee, with The Boxcars leading the pack with ten nominations for the band and their individual members. They’re followed by Blue Highway with nine nominations, and The Del McCoury Band with six nominations. Awards are voted on by the professional membership of the International Bluegrass Music Association (IBMA), the trade association for the bluegrass music industry. Results of the balloting will be revealed at the International Bluegrass Music Awards on Thursday, October 2, hosted by artists Lee Ann Womack and Jerry Douglas. The Awards Show is the centerpiece of World of Bluegrass event, to be held September 30-October 4 in Raleigh, NC. Individually and as an ensemble, The Boxcars received ten nominations, including Instrumental Group, Album of the Year (It’s Just A Road), two for Song of the Year (“It’s Just A Road” and “You Took All the Ramblin’ Out of Me”), Gospel Recorded Performance (“When Sorrows Encompass Me Around”) and Instrumental Recorded Performance (“Skillet Head Derailed”). Ron Stewart received two nominations, one as Banjo Player of the Year and one as Fiddle Player of the Year. For his work with the Boxcars, band member Adam Steffey earned a nomination for Mandolin Player of the Year; as a solo artist, Steffey received a nomination for Instrumental Recorded Performance (“Johnny Don’t Get Drunk”). Blue Highway captured nine nominations, including Entertainer of the Year, Vocal Group, Instrumental Group, Song of the Year (“The Game”) Album of the Year (The Game), Recorded Event of the Year and nominations for member Tim Stafford Guitar Player of the Year, and Bluegrass Songwriter of the Year and Rob Ickes Dobro Player of the Year. The Del McCoury Band received six nominations, including Entertainer of the Year, Instrumental Group, Album of the Year (“Streets of Baltimore”), Recorded Event of the Year and nominations for members Del McCoury Male Vocalist and Jason Carter Fiddle Player of the Year. North Carolina’s own Balsam Range was the only other artist besides Blue Highway to be nominated in the prestigious Entertainer of the Year, Vocal Group and Instrumental Group categories; band member Buddy Melton received a nomination for Male Vocalist, as well. The IBMA Awards Show will be broadcast live on Sirius XM Satellite Radio (Bluegrass Junction), streamed live at ibma.org, and syndicated to more than 300 U.S. markets and 14 foreign networks, thanks to the sponsorship of Deering Banjos, John Pearse Strings, Compass Records, the International Bluegrass Music Museum, Yep Roc, BluegrassToday.com and Music City Roots. Program directors and station managers may sign up to be affiliates online at www.ibma.org. Those wishing to obtain Award Show tickets, Bluegrass Ramble Showcase passes, IBMA Business Conference registration, tickets for the ticketed portion of Wide Open Bluegrass (which takes place at Red Hat Amphitheater and Raleigh Convention Center Ballroom Stages) and hotel reservations should go to IBMA’s World of Bluegrass website. Additional details and pricing information are available at the website. A complete list of nominees, this year’s Hall of Fame inductees, and the recipients of the Distinguished Achievement Award are listed below. IBMA Momentum Award nominees will be announced later this month in a separate release. Randy Pitts, Three Chords and the Truth, James King, Rounder Records. Derek Halsey, writer for the Herald Dispatch in Huntington, West Virginia, Bluegrass Unlimited magazine, and The Bluegrass Situation. Special Awards, including the Distinguished Achievement Awards, will be presented at a luncheon on Thursday, October 2 from 11 a.m. to 1 p.m. at the World of Bluegrass Business Conference in Raleigh, NC.